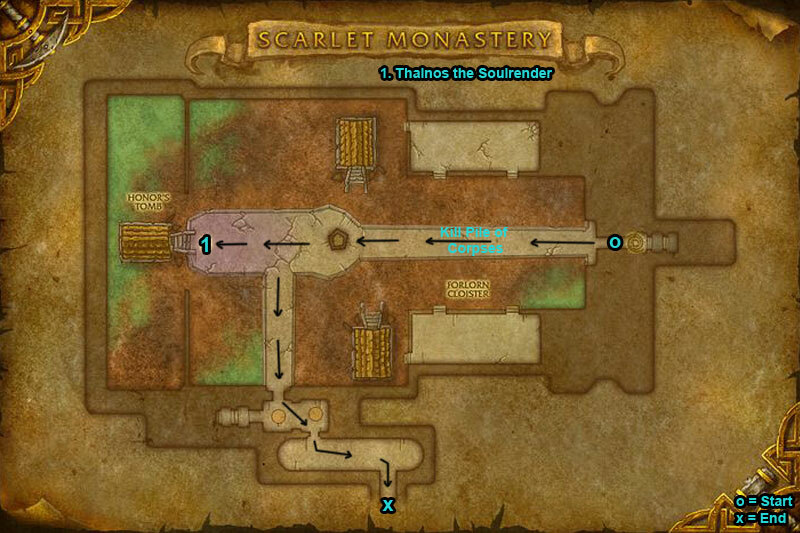 You can find the Scarlet Monastery dungeon within Tirisfal Glades, Eastern Kingdoms. Attack the ‘Pile of Corpses’ to destroy the zombie spawns. 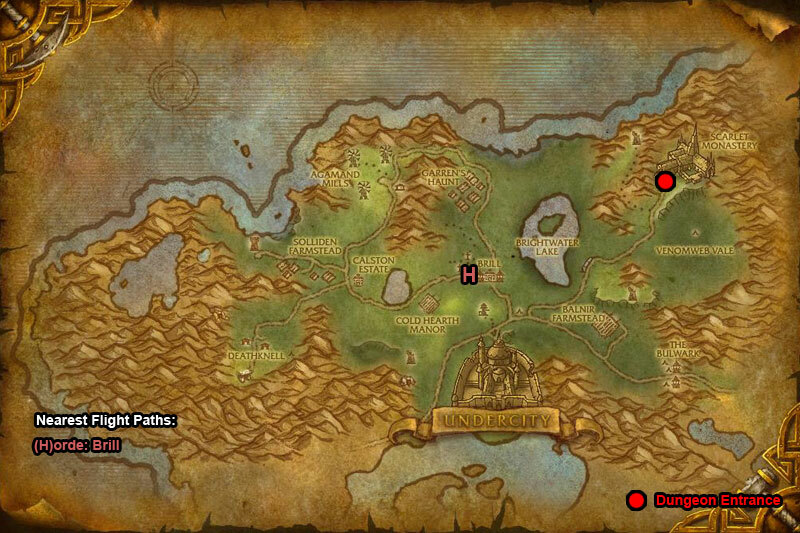 If your group pulls any of the mobs the ‘Pile of Corpses’ will need destroying otherwise the zombies won’t go. Just run straight down the middle of the water fountain and hug the wall to reach the steps to avoid pulling any aggro. /i Spirit Gale is Interruptible. Try to ignore adds he summons & take boss down first. Beware of extra damage when boss summons Empowering Spirit as they inhabit a body creating Empowered Zombie. /i Deals lots of fire damage. Move away from Firestorm Kick. 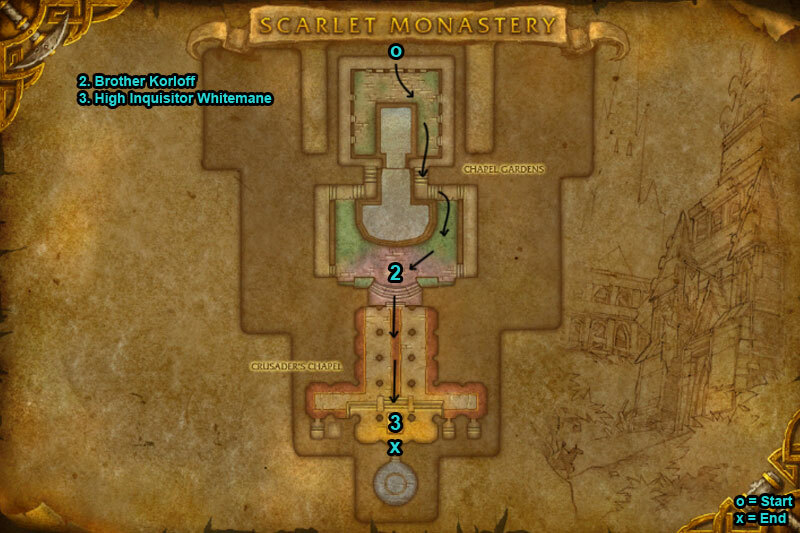 When boss below 50% casts Scorched Earth leaving trails of fire on floor, avoid this. /i First you will fight Durand, move out way of his Dashing Strike. When he is defeated Whitemane will join fight. Holy Smite & Mass Resurrection are interruptible. During fight she will resurrect Commander Durand.